Hog roasting with us couldn’t be any more straight forward, the machines are specially designed so that you are able to use them without problem or difficulty. We have worked with the machines right across Merseyside working in hog roast in Bebington or other large events such as hog roast in Birkenhead. 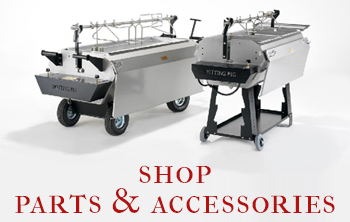 While the machines are industrial standard and perfect for large scale catering, we understand there’s commercial appeal for hog roast machines too and build them to be great and fully suited for private at-home use also. The machines can be used anyway for catering private parties for hog roast in Bootle or for catering for wedding hog roast in Caldy. 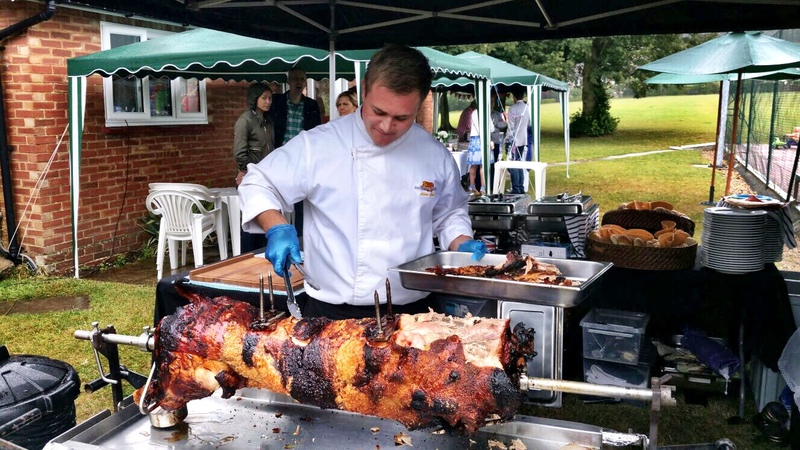 Why not celebrate this year’s Easter or St George Day, Halloween or New Year in style with either our hog roast hire service or our hog roast catering service. We both hire and provide catering services to some of Merseyside’s greatest towns and cities including hog roast in Heswall and not forgetting hog roasts in Liverpool. When you’re trying to throw a really great party that’s enjoyed by all you can count on us to make sure that’s exactly what you’ll get. We have an age of experience hog roasting catering in Wirral and Merseyside and are the only company equipped to give the ultimate service at the best value especially for hog roast in Southport. Thanks to our success hog roasting in Wirral and Merseyside we’ve been able to expand and scale up the business, now having hundreds of machines and staff members working for Spitting Pig working on hog roast in St Helens. With an ever growing client list and demand that allows us to provide our service at an even better value than ever before. So if you’re looking to add some excitement to your event, consider experiencing the phenomenon of hog roasting particularly for hog roast in Wallesey. 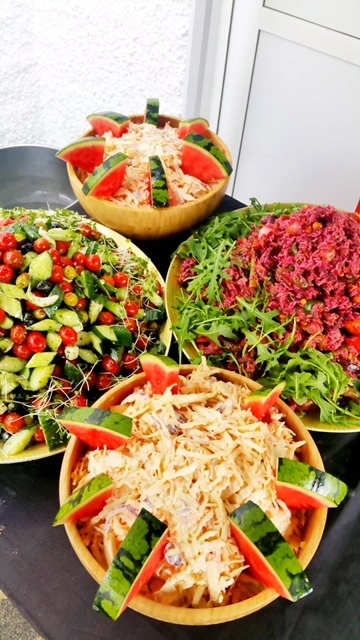 Hog Roast catering is ideal for any number of different types and sizes of events, whether a large corporate function or a small wedding, a 20 man backyard bbq or a 2000 people party or festival hog roast in Wirral. Our catering service is precise, professional and suitable for all, with everything from the simple and ‘proper’ to the complex and lavish. Let’s take a look at some of the many great benefits to be had from our Hog Roast catering. The main selling point of hog roast Bebington is the supreme and extraordinary quality of the food we actually cook and serve, the famed quality that’s elevated us to the heights we’re at today. 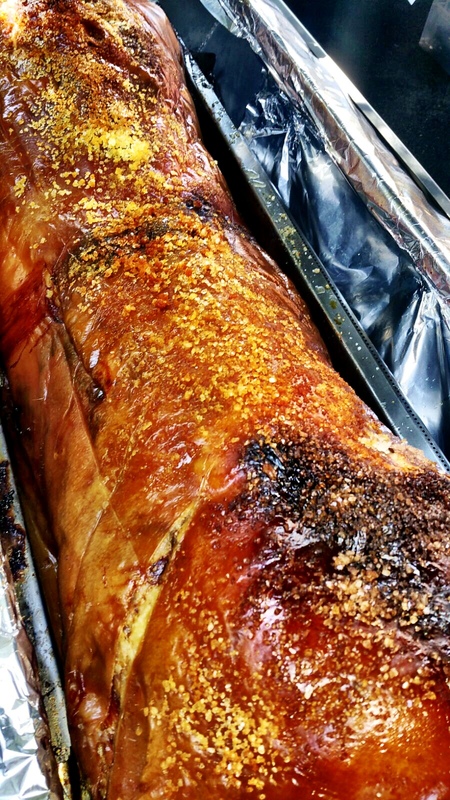 There’s a few reasons for this, most importantly is the bespoke, specially crafted, elite hog roast machines that we use in hog roast Birkenhead. They’ve been optimised over the space of decades and are without equal in the market. A machine without food is useless, however. We’ve been privileged over the years to have met and worked with many great people, and through that I’ve built up a working and non-working friendship with a large number of butchers and farmers. Through these relationships we can afford to use the greatest produce to be had in the country, without breaking the bank and losing profit in doing so. Where others look to cut corners and buy cheap produce to maintain profits, we’re able to buy world class produce for the same low cost prices for hog roast Bootle! The delights of hog roast Caldy are evident to all who’ve had the pleasure of eating hog roasted meats, and that supreme taste is exaggerated and one-bettered by our, machines, produce and staff. Nothing can match having a unique, custom built hog roast machine cooking for you… Except maybe having more than one of our machines on the go and with a couple of pro chefs working them. While catering is fundamentally an issue of food we realise that great service is just as important especially for hog roast Heswall. We hire only the best staff members, for the price required to achieve that. From chefs, to assemblers to office workers, all are fundamental cogs in the business and experts at what they do. We have several set-menus that hopefully suit you and your event at hog roast Liverpool. But worry not if they don’t, as we also work with clients who want their own custom menu. You can mix and match or create a menu with us completely from scratch. We can provide anything from the humble and succulent hog roast Southport pig sandwich to a several course meal with starters, deserts, late night snacks and a drinks bar. We’ll help you to organise the event. With our history and expertise hog roasting we’ve accumulated a wealth of knowledge on catering and know hog roast Wirral and Merseyside very well. We can help you in picking your venue, marquees and what not. From start to finish our staff will build a relationship with you to ensure the day goes as planned. Our team will arrive a few hours before the event starts to organise themselves, set up tables, marquees, machines, bars and everything else we’re required to do, or that you need help with. Before the event starts you also have an opportunity to meet the staff, clear up any requests you have, or even change the plans. We’re flexible at hog roast St Helens in what we do and will go out of our way to accommodate you however we can. We’ve been helping people with our catering service for years now, but we also realised there was a lot of demand for our machines without the catering and the costs of catering, that’s why we went away and created our spit roast hire service. You might not know but with one of our spit roast machines you can feed hundreds of people, quite comfortably, and in only a single setting. The good news is that you can see the benefits of hog roasting starting at as little as two hundred pounds a week, so now you can afford to enjoy hog roasting without breaking the bank in the process. A bottle of gas, a large pig(optional) and delivery, demonstration and collection are all included in our spit roast hire service. If you like the hire service you can also get in touch with us before the week is up and extend your machine hire for another week, a month or for an ongoing period. With the ongoing hire service we’re usually able to offer special reduced prices, if you’d like to hire for extended periods of time please get in touch. One of the great things about working across Merseyside is the number of different people you meet at events. It really is an absolute pleasure to caterer for the people of Merseyside and its one of the main reason we enjoy hog roasting so much. One of the most common questions that we get asked right across the county is where on earth do we get our hog roast machines from? Well you may be surprised to discover that we actually manufacturer our hog roast Bebington machines right here in the UK at our dedicated factory. When we first entered the hog roast Birkenhead industry over 20 years ago the standard of machinery for hog and spit roasts was to say the least extremely poor. Unreliable, poorly manufactured and with no eye for aesthetics the hog roast machine of the past often produced inconsistent results. When we entered the market we encountered these problems and were instantly motivated to change the industry and its most valued asset. Here at Spitting Pig and hog roast Bootle, we won’t settle of second best and we know that ultimately we are judge by our service and the quality of our product. Therefore we need to be 100% certain the tool we are using are up to the job and can produce the food we are capable of. The only way to be certain of this was to design and build the machines ourselves. Furthermore we wanted to monitor the whole process and really take hands on approach to the task. This meant that all our manufacturing based had to be located in the UK. One of Spitting Pig and hog roast Caldy core believes has also been to use local fresh ingredients and we took this idea and incorporated into our machines. By sourcing our materials and labour locally we not only give back to the local community and the UK as a whole but we also can manage the project better. Its this way of working that has allowed us to become the UKs number 1 manufacturer of hog roast machines, we sell and use the machine right across the county of Merseyside from hog roast in Heswall to hog roast in Liverpool our machines have become synonymous with quality and versatility. Over the years we have released some truly amazing machine that have helped transform and shape the industry we work in today. First there was the Titan Spit, the first fully stainless machine designed for the mobile caterer. This is still our most popular selling machine to date. It works tirelessly every weekend from hog roast in Southport to even hog roast in St Helens. Next came the professional a scaled down version of the titan which we use on smaller jobs or as a secondary machine for large events such as hog roast Wallesey. Finally our latest machine the Olympian which is our largest machine as is designed to be use indoors in restaurants we currently have a number installed in the beautiful county of Merseyside. So now you know a little but more about the effort we put into making our own machinery hopefully it will help you understand how serious we are about hog roast Wirral and hog roasting generally right across the county. Our machines are all fully CE certified to the highest standards, they are all fully mobile meaning we can cook anywhere from back gardens to off the forest. We take care of everything at every Spitting Pig jobs and we can firmly guarantee that your guests will marvel at our machines. There is latterly nothing better than watching a full pig being slowly rotated over a flame, the juices slowly running down the crispy and tasty crackling, it’s truly is a sight to make your mouth water. Once cooked in the base of the machine the pig is lifted up into the service position. Here it’s in unveiled for the all the guests to behold it makes a fantastic centrepiece for any event an it will have your guests or customer talking for weeks after the event. So now that you now a little more about Spitting Pig and hog roast Liverpool it’s time to get in touch and start the process that will make your next event not only a success but completely unique. To receive your very own personalised quote from the nations number hog roaster call 08005875899 today or fill in the online enquiry form found on the contact us page.